This activity feed shows all Cedric Williams Jr.'s 374 contributions to our community's mission to connect the human family on one free tree. You can also view all recent changes on WikiTree, the changes to profiles with surnames you're following, or the changes to profiles with a particular surname such as . Would you like to thank Cedric for helping with our mission to connect the human family on one tree? Click thank-you links by any particularly valuable contributions below. If Cedric made helpful contributions to his own family history award him a Family Star. If Cedric has helped you or someone else, award him a Generous Genealogist Star. If Cedric has made many valuable contributions to the WikiTree community, beyond his own family history, award him a Community Star. 23:13: Cedric Williams Jr. edited the Photo Date on Williams-7351.jpg (Williams-72067 updated photo) [Thank Cedric for this] 23:07: Cedric Williams Jr. edited the Primary Photo for Jesse Ensign Williams (1750-1834). 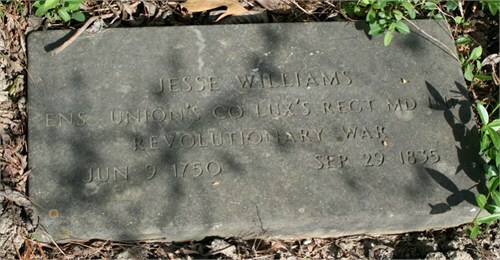 [Thank Cedric for this] 23:07: Cedric Williams Jr. uploaded Williams-7351.jpg for Jesse Ensign Williams (1750-1834). 22:43: Cedric Williams Jr. edited the data for Cedric Williams Sr.. [Thank Cedric for this] 22:28: Cedric Williams Jr. edited the Biography for Charlotte (Williams) Tower. [Thank Cedric for this] 22:26: Cedric Williams Jr. edited the Birth Date and Birth Place for Charlotte (Williams) Tower. [Thank Cedric for this] 22:02: Cedric Williams Jr. added Cassie L. (Mnu) Kilgore (abt.1872-) as spouse for Jefferson Davis Kilgore (abt.1872-). [Thank Cedric for this] 22:02: Cedric Williams Jr. created Cassie L. (Mnu) Kilgore (abt.1872-). [Thank Cedric for this] 21:59: Cedric Williams Jr. added Jefferson Davis Kilgore (abt.1872-) as father for Kathleen (Kilgore) Williams. [Thank Cedric for this] 21:59: Cedric Williams Jr. created Jefferson Davis Kilgore (abt.1872-). [Thank Cedric for this] 21:48: Cedric Williams Jr. edited the Current Last Name for Hettie Rowe (Williams) Neat (abt.1825-1906). [Thank Cedric for this] 21:46: Cedric Williams Jr. added Andrew Neat (abt.1821-bef.1900) as spouse for Hettie Rowe (Williams) Neat (abt.1825-1906). [Thank Cedric for this] 21:46: Cedric Williams Jr. created Andrew Neat (abt.1821-bef.1900). [Thank Cedric for this] 21:37: Cedric Williams Jr. edited the Primary Photo for Charlotte (Williams) Tower. [Thank Cedric for this] 21:37: Cedric Williams Jr. uploaded Williams-72325.jpg for Charlotte (Williams) Tower. 22:37: Cedric Williams Jr. uploaded Williams-72068-4.jpg for Cedric Williams Sr..
[Thank Cedric for this] 22:34: Cedric Williams Jr. uploaded Williams-72068-3.jpg for Cedric Williams Sr..
W > Williams > Cedric Williams Jr.